9781513627083 A guided daily journal that focuses on gratitude and affirmation. Includes 8 mental exercises. 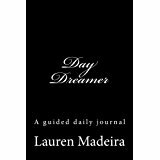 A guided daily journal that focuses on gratitude and affirmation. Includes 8 mental exercises.